We are pleased to introduce you to our new Board member, Lydia Chambers. Lydia has been working as an environmental organizer in the Chatham area for the last 15 years. 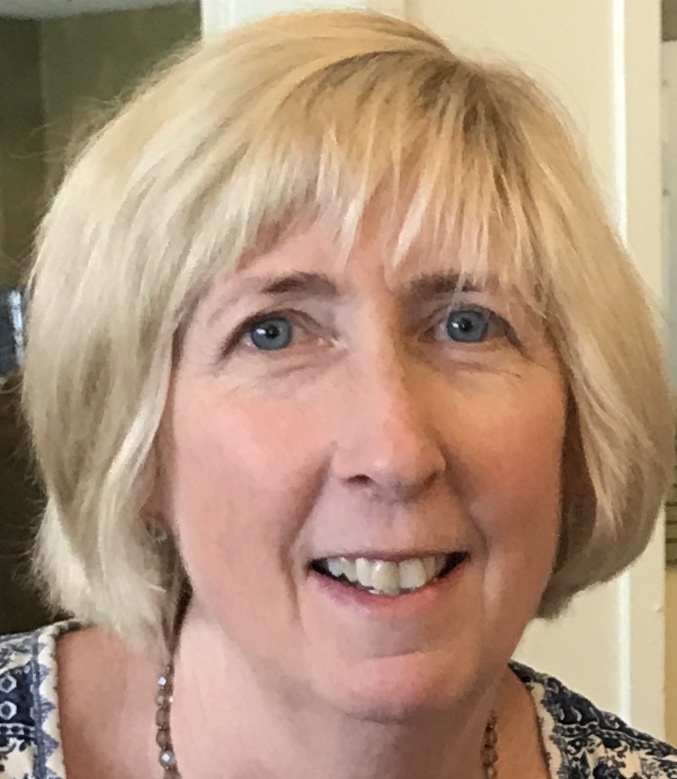 She served for over a decade on the Planning Board and Open Space Committee in Chatham Township. In conjunction with the Environmental Commission, she led several environmental campaigns in her community that were later used as models for communities around NJ: pesticide-free lawns and parks, anti-idling, and anti-bottled water. Lydia co-founded a social business called Back2Tap that worked with schools, non-profits, and corporations nation-wide to raise awareness about the wastefulness of bottled water and to encourage the use of re-useable bottles. With a BA in Earth Science from Dartmouth College and an MS in Geological Sciences from the University of Colorado, Lydia worked in the oil industry for 9 years as a geological engineer and hydrogeologist. Over 20 guests from across the Highlands Region joined EELC at the beautifully restored, historic Raritan Inn on Friday, November 3rd for a day of scintillating conversation and fun. George Cassa (Alliance for Historic Hamlets), Basil Hone (Citizens to Save Tewksbury), and Robin Love (Residents Alliance for Neighborhood Preservation) co-hosted the event. We were joined by Bill Kibler, Director of Policy at Raritan Headwaters Association, and Elliot Ruga, Policy Director at the NJ Highlands Coalition, who spoke about the importance of EELC’s continued presence in the Highlands, and how we can work together, under the Highlands Regional Master Plan, to preserve and protect this essential area. 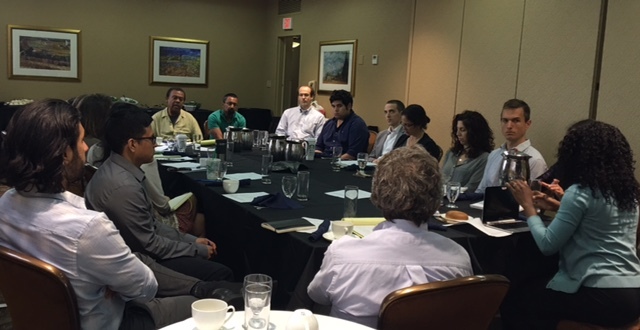 EELC’s Executive Director, Aaron Kleinbaum, provided the group with a short update of EELC’s recent legal success overturning a pollution discharge permit into the Upper Branch of the Rockaway Creek, home to thousands of trout and the source of drinking water for millions of New Jersey residents. 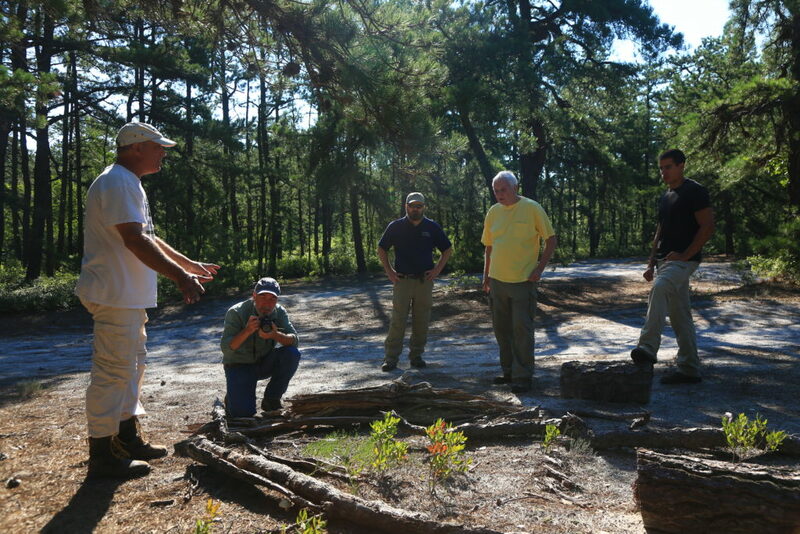 He discussed other work in the Highlands as well and gave a sneak peek about what might be coming up in the area. EELC Board Trustee, Alexi Assmus, shared a heartfelt story about how she first got involved with EELC and why we are such a vital piece of the environmental landscape. After the program, guests were welcomed to join in on fly-fishing with guides from Shannon’s Fly & Tackle Shop or join Raritan Inn owner, Bill Asdale, on a tour of grounds. It was a beautiful day! Multiple infrastructure proposals for new non-renewable energy sources, including oil and natural gas pipelines and transmission lines, have been permitted and constructed in recent years or are pending throughout New Jersey. Pending project proposals include the PennEast, Northeast Supply Enhancement, South Jersey Gas and Southern Reliability Link gas pipelines, and the Pilgrim Oil pipeline. These massive linear developments pose serious risks to natural resources as well as the health and safety of communities in their path. Such projects would also increase the state’s reliance on fossil fuels that contribute to climate change. The PennEast pipeline alone threatens over 4,300 acres of taxpayer-supported open space, and more than 40 Category 1 streams. The Southern Reliability Link and South Jersey Gas pipelines threaten the Pinelands National Reserve’s delicate ecosystem and the integrity of the Pinelands Act, which was designed to protect the area’s unique ecology. 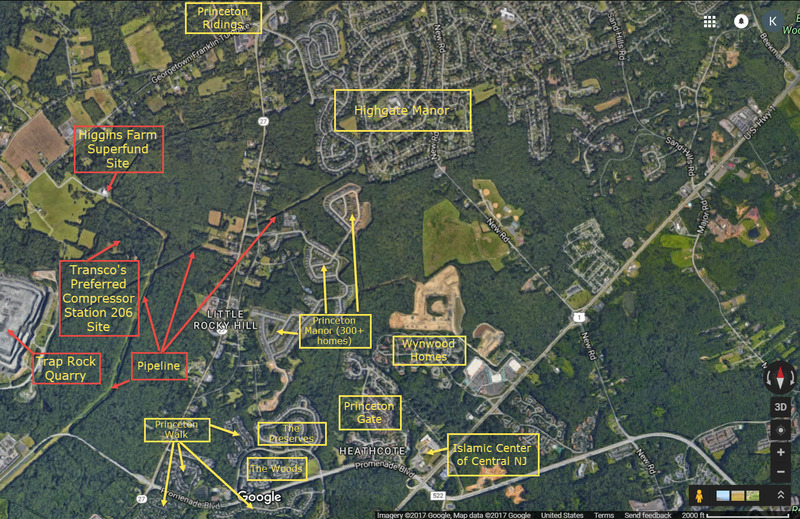 The Northeast Supply Enhancement Project threatens air quality, streams and the Raritan Bay. Pilgrim Oil could jeopardize the Highlands region, source of drinking water for over half the state’s population. Please join us for lunch and a brief update on legal environmental challenges facing the Highlands area. A buffet lunch will be served followed by a tour of the beautifully restored Inn and its grounds (weather permitting). 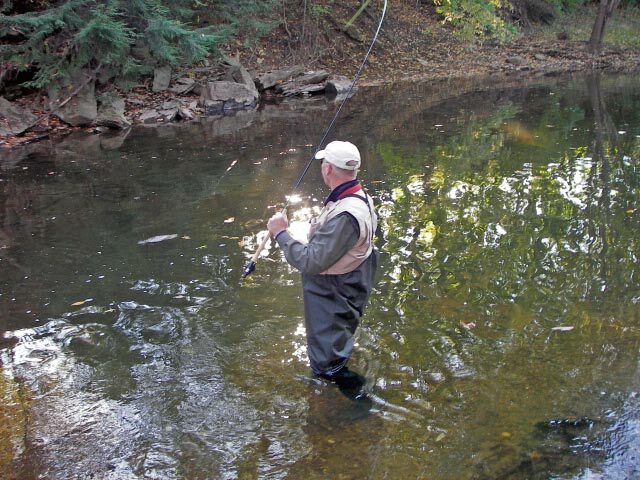 Interested in fly fishing? 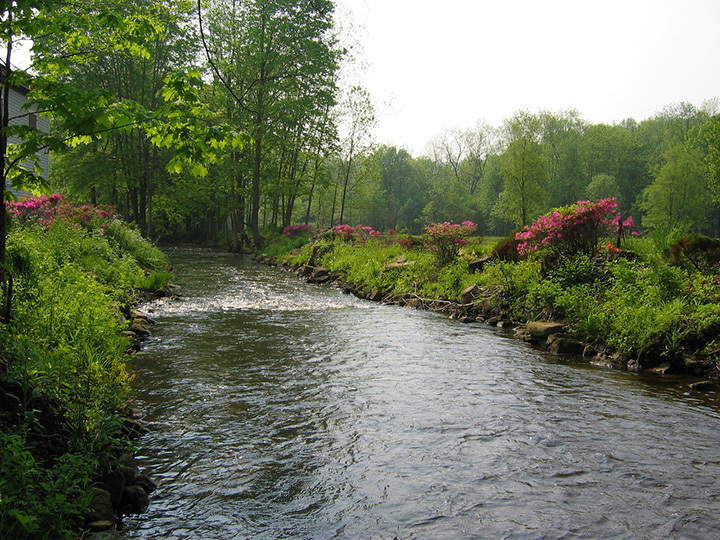 Join us after the tour for guided fishing on the Inn’s privately managed stretch of the South Branch Raritan River. *Anglers must have a valid fishing license, available online: www.njfishandwildlife.com/als/websalesintro.htm. 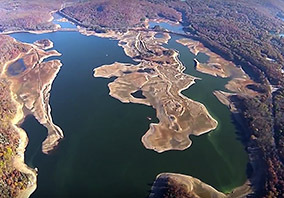 The NJ region’s Highland reservoirs provide drinking water for more than half of New Jersey’s residents. Reservoir flyover, November 1, 2016. 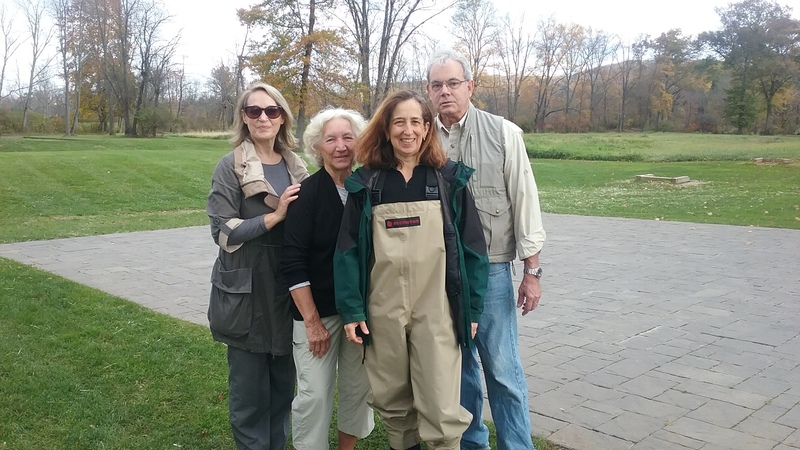 In a long-running story for EELC and friends of Rockaway Creek, EELC Executive Director and attorney Aaron Kleinbaum won a major victory in court in the effort to prevent a sewage disposal plant from discharging into a wild trout stream in the Highlands. 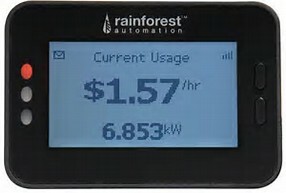 A long time in coming, smart meters are almost here. Smart meters will give New Jersey residents real time data on their electricity usage, and consumers will be able to make choices that will conserve energy. For the first time, the NJ Board of Public Utilities approved a proposal for smart meters and Advanced Metering Infrastructure. Calling Rockland Electric’s proposal for smart meters and Advanced Metering Infrastructure “revolutionary” and “a future we have to embrace,” Commissioner Fiordaliso joined his fellow Board of Public Utilities members in unanimously approving the utility’s plan to provide 74,000 customers near-real-time data on their electrical usage. EELC represented the Environmental Defense Fund and worked with the utility in making the case to the Board that advanced metering technology should come to New Jersey. Giving users information on how much energy they are consuming at 15-minute intervals makes it easier for them to conserve energy and gives them a choice not to use energy at certain times of day when demand is high. Grid planners use the same data to lower peak demand and integrate more alternative energy sources into the system. AMI also helps utilities get power back on faster and plan for recovery from large storms. 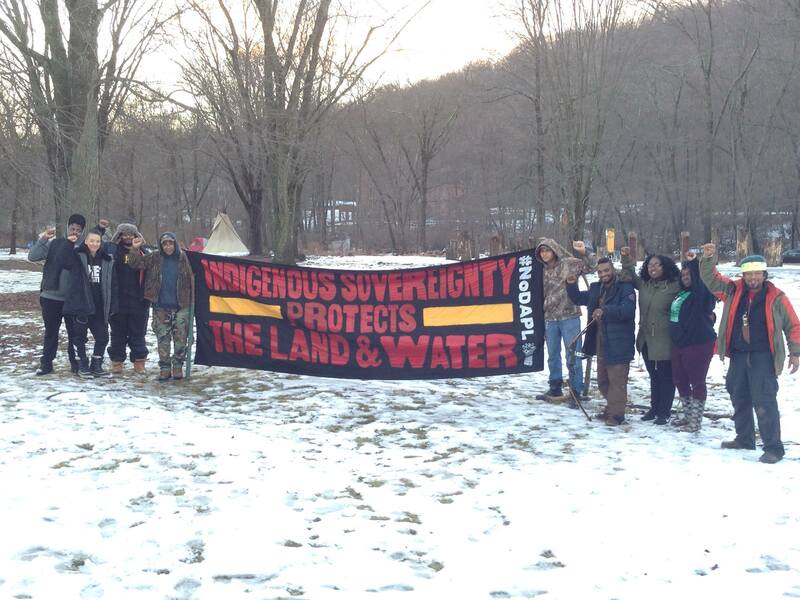 UPDATE: EELC attorneys Aaron Kleinbaum and Raghu Murthy are in court defending the Ramapough against municipal summonses alleging that they have violated the zoning code by constructing teepees on their property. Teepee summonses amount to harassment, Ramapough attorney argues. 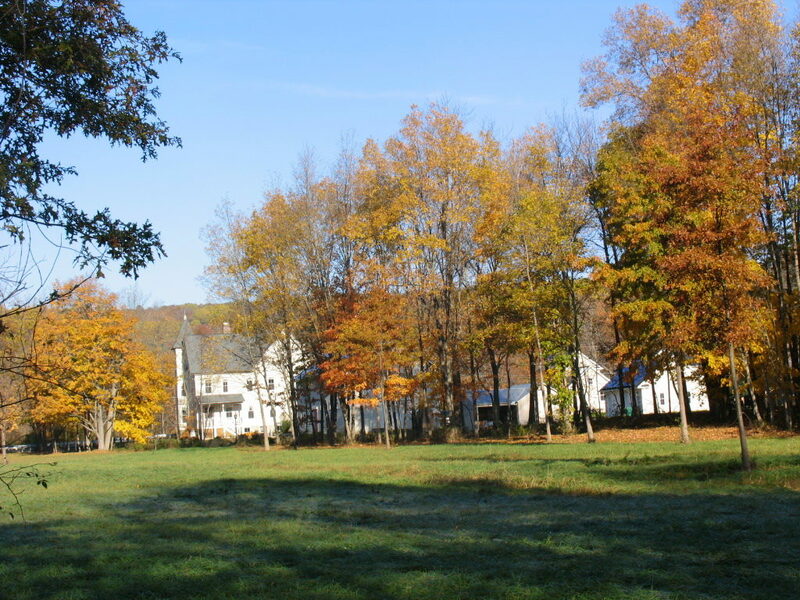 The Ramapough Lenape Nation – a State-recognized Tribe that owns land in Mahwah, NJ – won an important victory in Court when Judge McGeady announced a September 7, 2017 decision preventing the Hunt & Polo Club from participating along with the Township of Mahwah to prevent the ceremonial use of the Tribe’s property. From article, “The foundation first asked FERC to hold a hearing on the pipeline last summer, but the regulator never ruled on that request, said Jennifer Danis, an attorney with the Eastern Environmental Law Center, which represents the Foundation. The motion for a hearing was based on arguments that the pipeline was ‘self-dealing’ in that it would be selling most of the gas to its affiliates, and that there was no demonstrated public need for the pipeline, Danis said. 3 years in, PennEast ask feds to ‘promptly’ approve the pipeline, Kevin O’Shea, nj.com, August 12, 2017. From article, “Both the letter and its timing with FERC now having a quorum drew swift rebuke from opponents. Tittel said PennEast doesn’t have approval from any major governmental agency. The Eastern Environmental Law Center is lead legal council for the pipeline coalition which opposes the multiple unneeded pipelines that are planned to cross New Jersey and the Delaware River. EELC was instrumental in getting the DEP to require that the Penn East pipeline developer’s application be complete. PENNEAST WANTS FAST-TRACK APPROVAL FROM FERC FOR $1B PIPELINE, by Tom Johnson, August 14, 2017. NJ Spotlight. 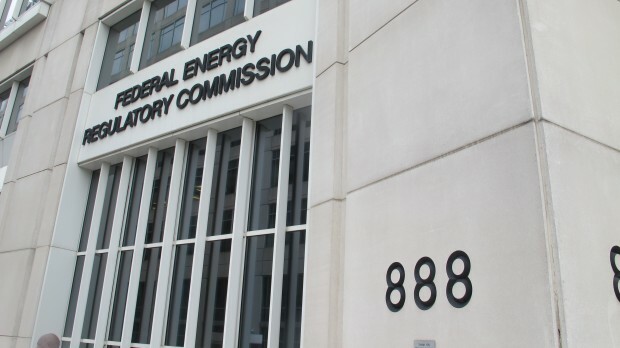 On Friday, in response to PennEast’s request for FERC to expedite project review, EELC renewed its own request to FERC for a hearing on the proposed Project. EELC represents New Jersey Conservation Foundation and Stony Brook-Millstone Watershed Association, who oppose the controversial PennEast Pipeline because it has not demonstrated any public benefits. Many others agree – including the New Jersey Division of the Rate Counsel.